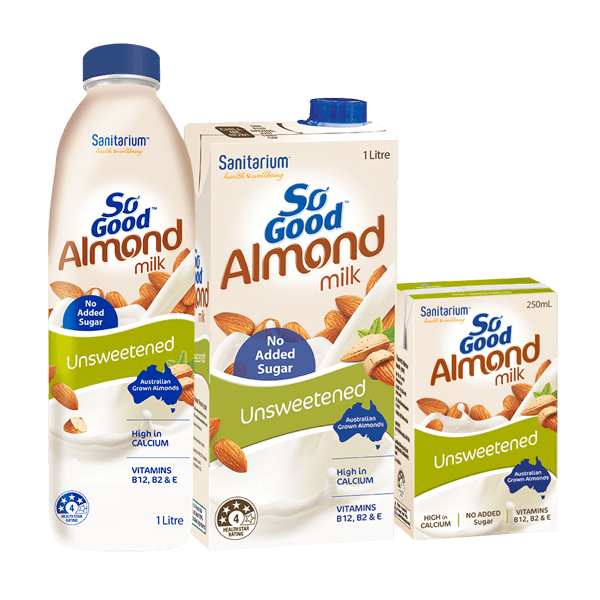 So Good™ Almond Milk Unsweetened from Sanitarium New Zealand is a delicious plant-based beverage made from almonds. 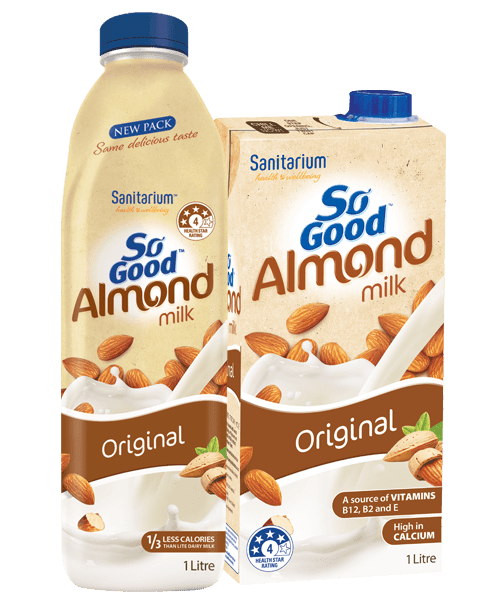 So Good™ Almond Milk Unsweetened can be enjoyed by the glass, on cereal, or in your favourite recipe. It’s a good source of calcium and a source of vitamin E, B2 and B12. 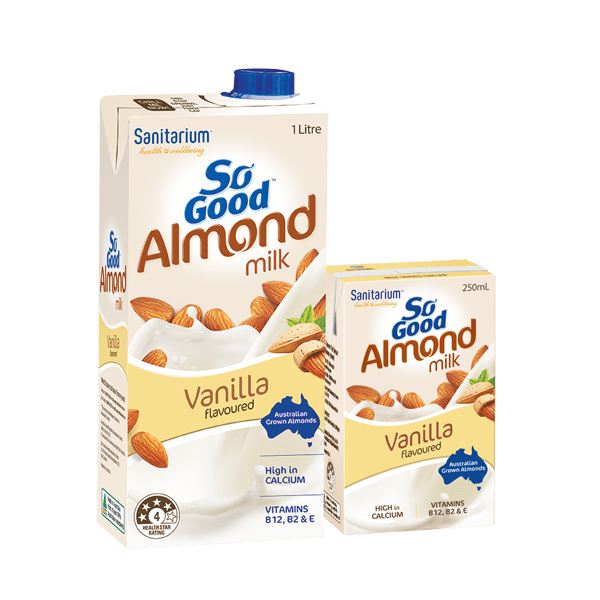 It's low in fat and saturated fat, and is also lactose, gluten and dairy free.